“Action adventure icon” Mack Bolan takes his assault on the Mafia to a whole new level—as the million-selling series continues (Los Angeles Times). 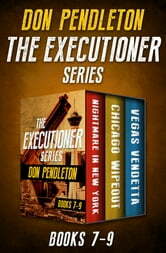 To avenge his father, former Special Forces sniper Mack Bolan declares a one-man war on the Mafia. Included in this volume are books 7–9 in the long-running series. Nightmare in New York: The Executioner is about to make the mean streets of New York a whole lot meaner—when he targets the city’s five families to stop a political assassination. Chicago Wipeout: With a single shot, Bolan puts a Chicago mob underboss six feet under—but he’s just getting started as he blows away the bad guys in the windy city. 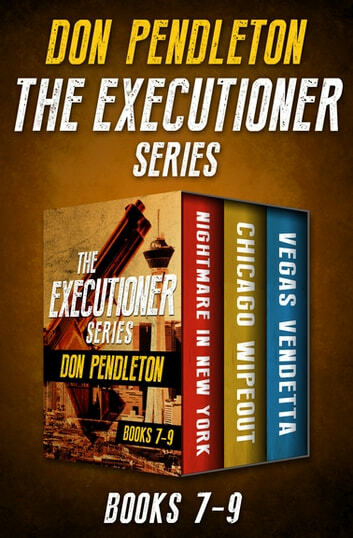 Vegas Vendetta**:** When the Executioner takes aim at the mob’s biggest casino and duels with the deadliest hit men the Mafia has to offer, guess who won’t be leaving Las Vegas.